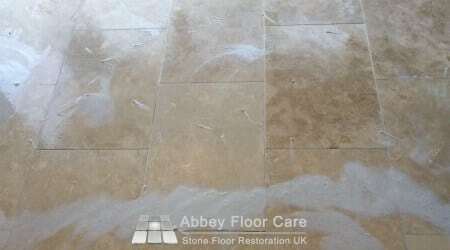 Travertine Restoration Sutton Coldfield B72 – Abbey Floor Care. 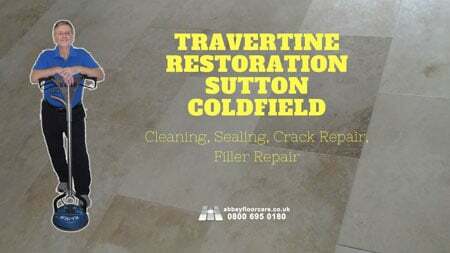 This Travertine Restoration Sutton Coldfield Project arose from our client contacting us for help to clean their Travertine floor and repair some cracks to 4 tiles. Over time cleaning the floor had become more difficult to mop clean. 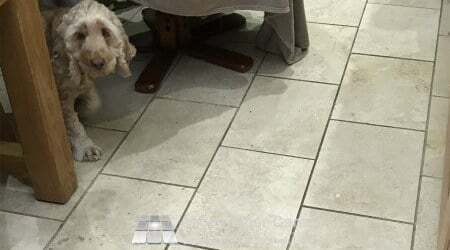 The home had pets and the combination of their natural oils and tracked in the earth, left dark soil ingrained into the surface of the tiles and grout. We advised a thorough deep clean to remove the soil. 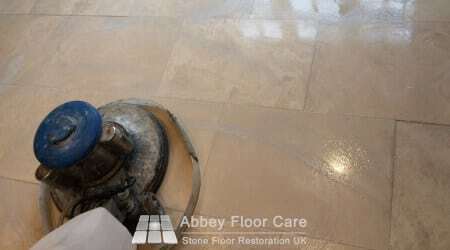 Then seal the floor with a mid-sheen surface sealer. 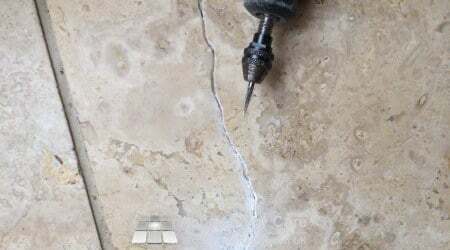 We started the project by applying our heavy-duty Travertine cleaner and leaving it for around 30 minutes to allow it to work. A rotary scrubbing machine helped remove the ingrained soils. Our pressurised rinse and capture equipment removed the dirty slurry. 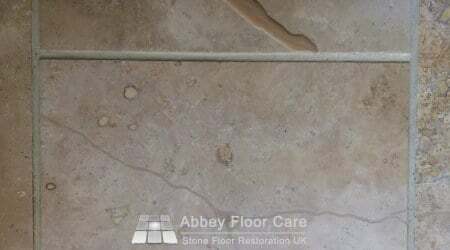 The process also removed soils from holes in the floor any loose filler that was likely to come away over the coming months. The cracks were opened with a diamond burr to accept a hard filler. I filled the holes and cracks with a hard jasmine coloured filler. 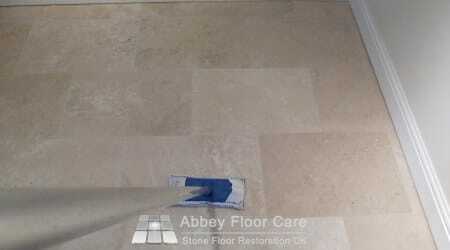 When the filler was hard, it was sanded smooth with the surface of the tiles. The floor was ten years old, so the surface of tiles in the wear areas was worn rough. I used a honing machine to hone these areas with 200 grit diamonds to help smooth the surface of the tiles. I sealed the floor with a coat of impregnating sealer. The impregnating sealer helps protect the stone and acts as a primer for the finishing sealer. 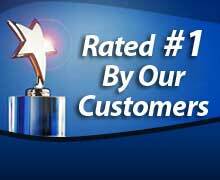 I finish sealed the floor with four coats of mid-sheen Surface Sealer, leaving an attractive, easy to clean finish. 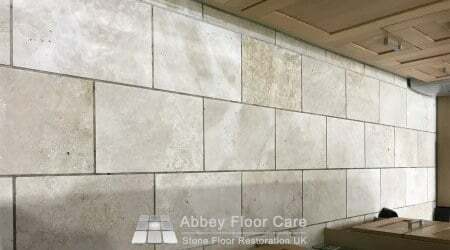 If your Travertine floor is ready for a makeover, contact Abbey Floor Care for a free, no-obligation Travertine restoration quotation.